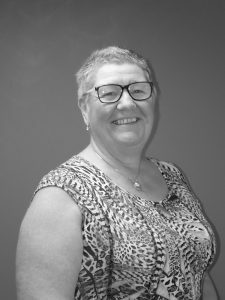 Registered Manager, Jayne Marsh has been part of Adults Supporting Adults (ASA) or the local authority Adult Placement Scheme as it was previously known, since its early years in 1992. Jayne has been involved in nursing and adult social care since 1974 and has seen many changes in how society cares for the most vulnerable during this time. Next April, 2017, Jayne will have given 25 years loyal service to ASA and time has come for her to retire to France for a well-earned glass of champagne. Work now begins in earnest to find the right person to join an organisation that is at the forefront of transforming how community based social care is delivered in the future. If you are interested in working for ASA, then please read Jayne’s profile, as it may give you an insight into the type of committed professional we are looking for in the coming months, so as to work alongside of Jayne and to develop an understanding of the post Registered Manager before she retires. I’m the daughter of a dairy farmer and I was brought up in and around the fenlands of Spalding, that’s where I get my love of the outdoors and nature from. As a child I always had an interest in nursing even though I didn’t like blood and guts and stuff…which was a family joke with me living on a farm, as daily you saw animal life at its most explicit. My mother worked in a residential home for people with Dementia…I used to visit as a teenager and really enjoyed what I saw, so it got me thinking about a career path on leaving school. In 1974, I left home as a 16 year old to become a Cadet Nurse and undertake my Cadetship as it was called, at Rauceby Hospital, near to Sleaford. This gave me the opportunity to learn about all of the departments and develop an understanding of how a big institution was run from top to bottom. After two years, I began my State Enrolled Psychiatric Nursing, which enabled me to go on to the wards and learn that vital experience and knowledge of how to care. The Nursing School was in the hospital grounds, you were continually being assessed and at the end of another two years, you had to sit a final exam. I loved my work on the wards and being able to make a difference to peoples’ lives when they were at their most vulnerable. Supporting patients to become well again after being severely mentally distressed, gave you a real sense of achievement. Rauceby was a very big institution, almost like a village, there was lot of history within its grounds and not every practice was ethical, especially by today’s standards. However, in those days there was a real sense of community, not only for patients but for all the hospital staff as well. As a nurse, you seemed to be more involved with the patient you were working with, from admission through to discharge. Many patients were regular visitors to the hospital, as it was a place where they could feel safe and once they had received their treatment they could continue on with their day to day lives. Towards the end of my five years at Rauceby, there seemed to be a positive drive to treat people away from the hospital site and rehabilitate long term patients back into the community. This planted a seed about the next move in my career. In 1979, at the age of 21, I was offered the position of Assistant Matron at Bonner House in Sleaford, a 60 bedded residential home. I knew some of the residents who had already been moved there from Rauceby and I had really started to develop an interest in working with older people. Bonner House wasn’t approved to provide nursing care but there seemed to be a lot more scope for providing support in the community, this really excited me. Needless to say, my 5 years of nursing at Rauceby stood me in good stead and allowed me to deal with most things quite confidently. Bonner was originally built to replace the old ‘work houses’, so many people were quite fearful of what to expect on admission. Again not all the ways of working were what you would expect in today’s world, especially regarding choice and control, but we had a very committed staff team, that was dedicated to providing the best care possible to all of the residents. After 9 years at Bonner, I decided to move to Boultham Park House in Lincoln to develop new career opportunities. It was during this time that my then manager suggested that I undertake training in social work given my previous experience of supporting older people in the community. In 1989, I signed up for my part-time course at Derby College and after two years of to-ing and fro-ing between there and Lincoln, I successfully completed my Certificate in Social Services as it was called. Sadly, when I returned to Boultham Park House, it had been identified to be signed over to a Care Trust, so I left after falling pregnant with my son. On my return to work in 1992, I started looking for social work posts. The NHS & Community Care Act 1990 was in the process of being fully implemented, so there were lots of new opportunities. Local institutions such as Rauceby, Harmston and Bracebridge Heath were closing and patients were being placed in the community within smaller group homes. Alongside this, a relatively new service was also being piloted, called ‘Adult Placements’. The scheme really was the ‘trailblazer’ of its time, placing adults within a supportive family setting rather than residential or hospital care was unheard of and was a real leap of faith of what could be achieved within a family home. It was a very busy time, recruiting, assessing and training new providers, then, carefully matching the client with the right family. Often that person, had already spent much of their life living within the confines of those big institutions, isolated from their communities and what we may call ‘normal life’…just because they had a learning disability. Clearly our aspirations for people with disabilities and mental ill health have changed somewhat for the better over the last 25 years. I thrived in my new role and felt very privileged to be playing my part in this new way of supporting people in the community. The new clients blossomed in their new setting with support from the family, achieving goals and outcomes never thought possible before. The most obvious change was enabling that person to make real decisions, to have a choice and take control of their lives, quite possibly for the first time ever. This really was person-centred work at its best; the providers were and still are so caring, diligent and dedicated to the role of empowering the client to be part of the community. Towards the end of the 1990’s, the local authority were starting to move away from being providers of care services to more of that as commissioners, as it still is today, and at that time adult placements did not fit into any plans going forward. Luckily, the new manager of the scheme had other ideas and after many years of legal wrangling, adult placements externalised from the local authority and became a not-for-profit organisation. In 2005, Adults Supporting Adults (ASA) was born and so began a new opportunity to grow the organisation even further and develop new types of community based services no-one could have imagined. It’s been fantastic to see the team expand from just two social workers to the full team that we have today. For the last 10 years I have been the Registered Manager, a role that has evolved over time so as to meet the needs and demands of the organisation. Social Care is facing unprecedented times with increasing pressures and as Registered Manager, it is my responsibility to ensure that ASA are compliant with all of the regulations and standards as set out by CQC. This means paying particular notice to and often revising ASA’s policies and procedures so that on a day to day basis all of our services meet the necessary health and social care requirements. As a core member of the Senior Management Team, I also contribute to the strategic planning of the organisation, providing a knowledgeable overview on many varied subjects. I also work closely alongside the Operations Manager, to provide guidance and advice to the staff team on practice queries when asked, especially in relation to safeguarding matters. Training, supervision, appraisals and the recruitment of new staff are also integral to retaining the highest quality of care we deliver and the role very much requires for you to be at the forefront of these processes. One of the most enjoyable parts of being the Registered Manager is to oversee the Independent Panel that approves all Shared Lives providers. I’m pleased to say that a handful of those early clients placed within adult placements are still being supported by Adults Supporting Adults providers to this day, now that’s commitment if ever you saw it.